Try to find the solution. Which option or Block would fit in the Blank space and Why? What pattern do You observe in this Puzzle. Because it gives row 1 two ◆ and column 4 two O. The fifth block doesn't give row one two of anything. I posted this some time ago, but the I found a flaw in it, so I deleted. However, it migt help somebody else, so I decided to undelete it. How many times each symbol appear two times in the same row or column? Now, what can't fill the spaces while mantaining this pattern? The 3rd and the 5th pictures won't produce any repeating symbol in the 1st row. The 1st picture would make the 2nd row with two pairs of repeating symbols. 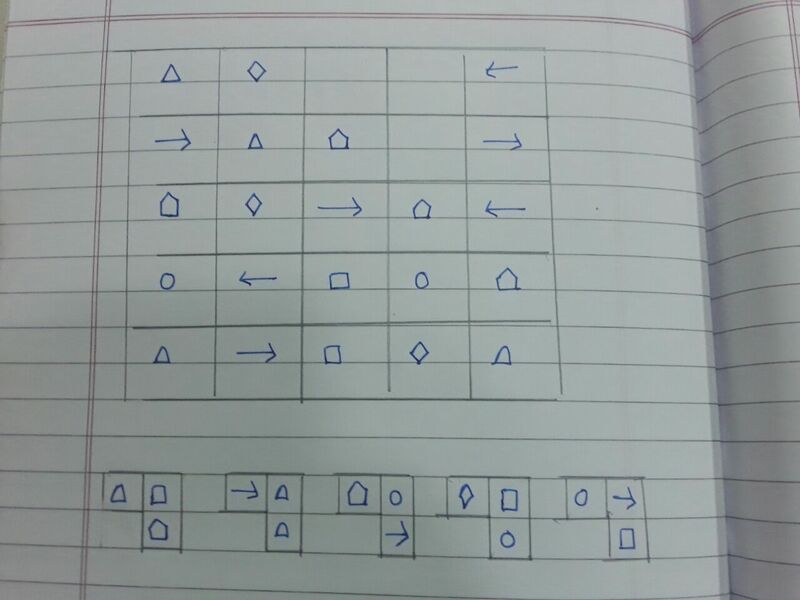 The 2nd picture would make the 3rd column with two pairs of repeating symbols. The solution is the 4th picture. Not the answer you're looking for? Browse other questions tagged pattern visual symbols or ask your own question.